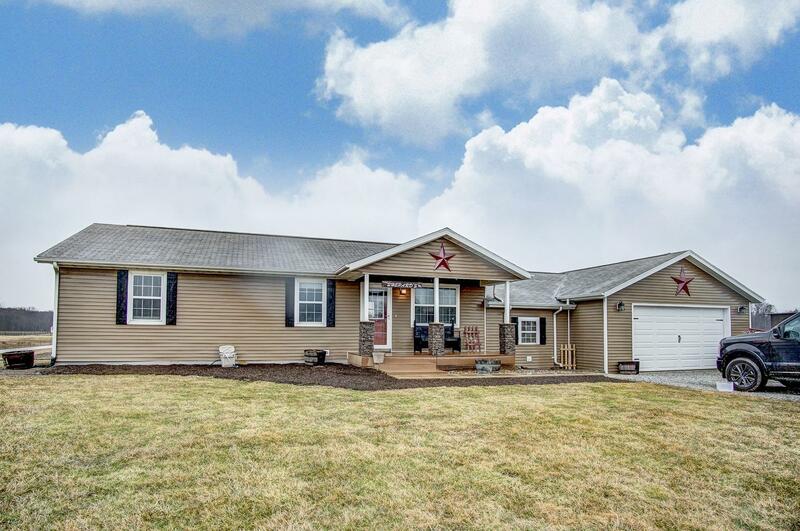 This lovely ranch home is located on just over an acre of land 4 miles outside of LaGrange. The kitchen has been completely remodeled and opens right up to the dining area for an open concept floorplan. There is a living room on the main level and another large great room in the basement. Plenty of room in the basement for another bedroom or just use it for plenty of storage room. The garage is 30&apos; deep so you can fit 2 cars in very easily and have room for a workshop area or extra space. Surrounded by fields and country views, you could call this one home!